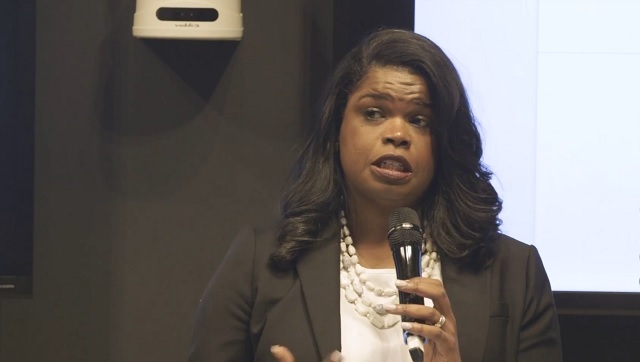 Cook County (Ill.) State’s Attorney Kim Foxx did not “formally” recuse herself from the Jussie Smollett case, her office said in a statement Thursday, explaining that Foxx used the term "recuse" in a "colloquial" sense rather than a legal sense when she left the case in February. The statement was the latest twist in the saga centering around Smollett, the "Empire" actor whom Foxx's office decided not to prosecute Tuesday in a stunning reversal after Smollett faced a 16-count indictment for allegedly staging an assault against himself in January. Foxx announced Feb. 19 that she was leaving the case, clarifying later that her decision stemmed from her contact with a relative of Smollett. But Thursday's statement said Foxx's decision was not based "on any actual conflict of interest," implying that Foxx was concerned about the appearance of a conflict. Fox News reported Wednesday that Foxx's office sent out an internal email asking "assistant state's attorneys to dig for any examples to bolster Foxx's claim that the dropped charges in the Jussie Smollett case weren’t as uncommon or shocking as they seemed." I'm sure Joe Biden loves seeing our "English jurisprudential culture" scrapped like this!